Amy Cragg, Desi Linden and Shalane Flanagan will be the three women representing the United States in the marathon at the 2016 Olympics in Rio de Janeiro. LOS ANGELES – Amy Cragg, Desi Linden, and Shalane Flanagan will be the three women representing the United States in the 2016 Olympic marathon in Rio de Janeiro on August 12 after their one-two-three finish in Saturday’s U.S. trials race in Los Angeles. Cragg crossed the finish line in 2:28:20 as the hot temperatures on the course resulted in a race where she and Flanagan used shaded areas to build a lead in the first half of the race. Linden and Flanagan followed her up in 2:28:54 and 2:29:19, respectively. Kara Goucher, a member of the 2012 Olympic marathon team, finished fourth and missed a spot on the Olympic team by 65 seconds. Cragg’s first-place finish on Saturday is a much sweeter reward than her fourth-place finish at the 2012 trials in Houston, when she fell 17 seconds short of making her first Olympic team. Cragg, 32, went on to make the Olympic team for London in the 10,000 meters on the track later that summer. In her first Olympics, she finished ;11th but was the first American across the finish line. 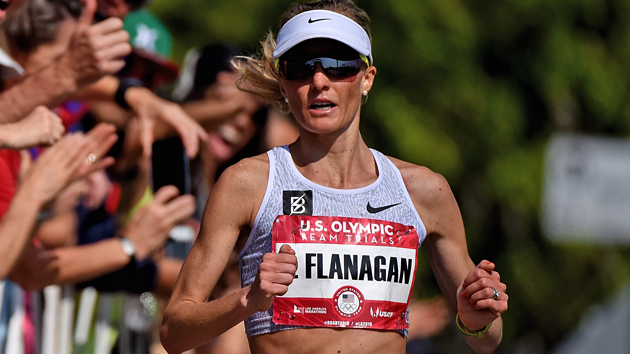 In her preparation for the 2016 trials, she moved to Portland and started training with Flanagan. She was college roommates with Linden at Arizona State. Cragg holds a personal best of 2:27:03, which she has run at the 2011 Houston Marathon and 2014 Chicago Marathon. Linden told reporters that she struggled to call herself an Olympian after she dropped out of the 2012 Olympic marathon in London after two miles due to a femoral stress fracture. 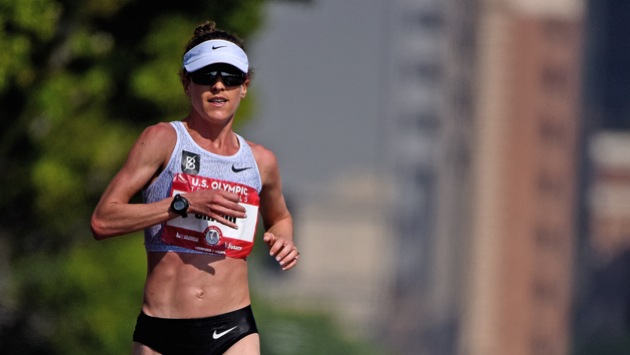 Linden will be out for redemption in Rio as she contests her second Olympic marathon. At the 2008 U.S. Olympic Marathon Trials, Linden was a distant 13th place finisher in 2:37:50. She was the runner-up behind Flanagan at the 2012 trials in Houston, where she ran 2:25:55. In Saturday's race, she made up ground in the final three miles to catch Flanagan for a runner-up finish. 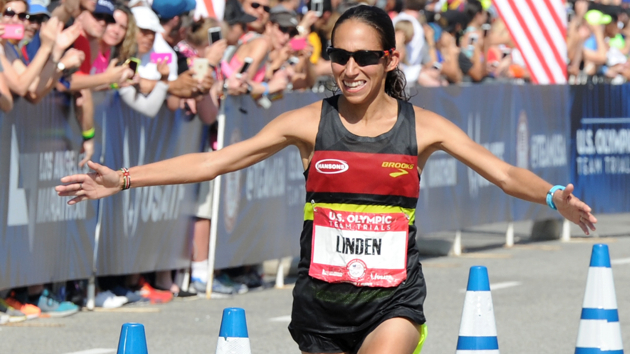 Linden was once the fastest American woman to run the Boston Marathon with her 2:22:38 second-place finish in 2011. Her 2:25:39 run at Boston last year was the fastest by any American in 2015. After making the Olympic team in the marathon, Linden says she believes she is retired from competing on the track. Flanagan, 34, will be running her second Olympic marathon, after finishing 10th in London four years ago. Flanagan continues to climb in the results from 2012, at least one finisher ahead of her has been disqualified for performance enhancing drugs. Flanagan owns a bronze medal in the 10,000 from the 2008 Olympics in Beijing. At 34, Flanagan is most likely headed to her last Olympics. She has a chance of adding another medal in what she believes could be the “cleanest marathon” of her international career.